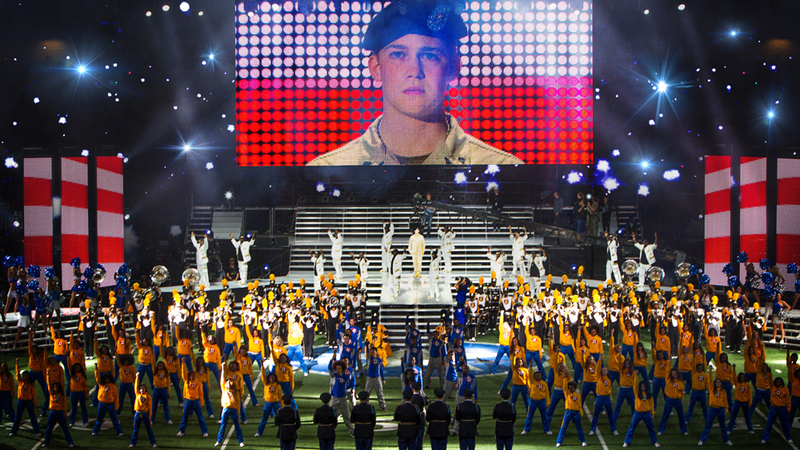 Billy Lynn’s Long Halftime Walk redefines what is possible in filmmaking and storytelling. 21 August 2017 by Daniel Dercksen·Comments Off on Billy Lynn’s Long Halftime Walk redefines what is possible in filmmaking and storytelling. A groundbreaking, cinematic event from three- time Oscar-winning director Ang Lee. With Billy Lynn’s Long Halftime Walk, Ang Lee redefines what is possible in filmmaking and storytelling with the goal of further engaging the audience in an advanced cinematic experience. Joined by two-time Oscar-winning cinematographer John Toll, Lee employs state-of-the-art cameras to shoot in native 3D, high resolution and a history-making frame rate that seemed impossible until now. He creates a new way for audiences to experience drama, presenting the heightened sensations that young soldiers feel on the battlefield and the home front. Taiwan-born storymaker Ang Lee is one of the world’s most revered and honored film directors with a resume comprised of numerous awards and accomplishments. Lee moved to the United States in 1978. After receiving a Bachelor of Fine Arts in theatre from the University of Illinois, he went to New York University to complete a Masters of Fine Arts Degree in film production. While its development and use of technical breakthroughs may secure Billy Lynn’s Long Halftime Walk’s place in film history, it’s important to recognize that its achievements are securely driven by the drama of a human and compelling narrative. 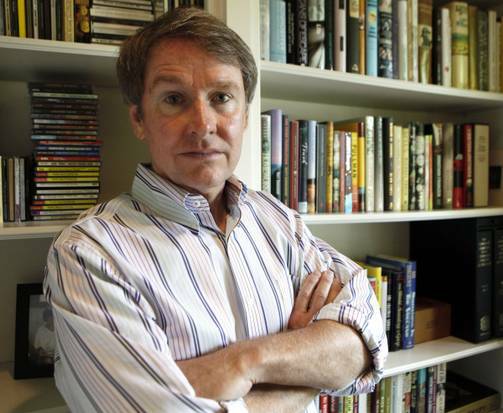 The story is based on a novel that producer Rhodri Thomas at Ink Factory read eight months prior to its publication (it ultimately became a 2012 National Book Award finalist). “A friend of mine, a publisher, gave me the manuscript and said, ‘You’ve got to read this book. It’ll change your life.’ Which turned out to be quite prophetic words. I read it on vacation and loved it—it had a particular magic that spoke so well about our times. It was anti-war but very much pro-soldier which is something that moved me deeply—and I wanted to tell this story. “So the Ink Factory optioned the book in 2012,” says Thomas, “and developed it with Film 4, the film arm of the UK broadcast Channel Four. They’re incredibly supportive of cinema–they like to take risks and six months before its publication they took a risk on this material. Happily, the book was phenomenally well-received. We then started developing the screenplay. After graduating from Harvard, screenwriter Jean-Christophe Castelli worked as a 50 magazine editor and freelance writer, publishing articles in Vanity Fair, Esquire and Filmmaker, before moving into film. For seven years he was the story editor at the New York independent production company Good Machine. There he developed film projects with a number of directors, and began a long working relationship with Ang Lee with The Ice Storm. 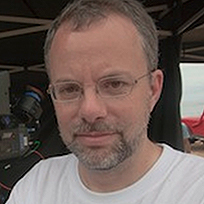 While pursuing his own writing, Castelli has continued to work with Lee, most recently as associate producer for Life of Pi and screenwriter for Billy Lynn’s Long Halftime Walk. Initially, it was Billy Lynn’s story that captivated Lee, his literal and emotional journey and the complicated juxtaposition of the glorification of returning war heroes and the horrific nature of the war they’ve fought. It was the kind of story that he thought lent itself to a new filmmaking approach he had been considering, one that could really connect the audience to Billy Lynn in an immersive, organic way, the cinematic equivalent of the first person, internal narrative of the book. “Billy Lynn’s Long Halftime Walk was a very compelling book. His observations of the absurdity of the over the top welcome home these warriors receive, the juxtaposition of this extravagant celebration of his heroism intercut with his battlefield service in Iraq, the irony of those two experiences side by side, it’s kind of an existential examination of what’s real and what’s not, there’s a sort of Zen quality to that comparison that fascinated me. I was attracted to the situation of the storytelling as well, the halftime show to celebrate the soldier in 2004 juxtaposed against the real battle – the drama, the conflict, a kind of coming of age story of a young soldier who has to sort it all out. It was great material to use this new technology I had been considering to really engage the audience. To me, when we see movies, it’s as if we’re watching someone’s story from a distance. My hope with this new technology is that it could allow for greater intimacy, to really convey the personal feelings of a conflicted young soldier. That’s why I call it ‘new cinema’ – because it’s a new way of making, watching and experiencing a movie and it seemed perfect for this project. It’s a great way to put Billy Lynn in the center of this halftime show that is very dramatic and an intriguing way to examine humanity and our society. About halfway through the book, I knew I wanted to do it,” Ang Lee remarks. Ang Lee’s use of this new technology creates an immersive experience that is designed to allow the audience to deeply experience Billy Lynn’s emotional, physical and spiritual journey in a personal and profoundly encompassing way. Lee’s approach would create logistical and technological challenges never before encountered on a traditional movie – the team developed a new cinematic lexicon by necessity, every shooting day and on into post-production, but always in service of the story. And his careful use of this new approach allowed him to explore shifts of dimension, film speed and perspectives with brand new tools. The movie even set up its own lab in Atlanta in order to process a vast quantity of data, as Lee and Toll invariably relied on two cameras running at five times the normal speed with twice the amount of data running on each of those cameras. That translated into twenty times the data storage of a normal high-quality Hollywood film on a daily basis. Before cameras even rolled, Lee knew he was entering uncharted territory and yet he also believed that it was the best way to tell the story in an authentic way. “I stepped into a new world with this movie, “Lee says. “The use of the high frame rate and high dynamic range will provide, I hope, a unique opportunity to feel the realities of war and peace through the protagonist’s eyes. It’s not a political statement as much as an opportunity to experience what the characters do on a human, emotional level. I thought that taking a platoon from the battlefield on to this Thanksgiving Day halftime show as some sort of celebration of valor would freak them out. The difference between the heroics that people project on them and their experiences on the battlefield where it’s just chaos, a fight for survival … the adrenaline level is extraordinary. Those two antithetical experiences next to each other seemed to be the perfect way to explore this new cinema. I didn’t have a proper name for it but early on, I was thinking the higher frame rate to view 3D more accurately could really explore what digital could do in terms of conveying the human condition. The way we see each other in life, the way we pick up nuances from each other is very different from how we’ve been depicted in film. So this approach seemed to be a direct way to carry on the soldier’s sensation, as he goes into what we call normal life. It was very dramatic and inspiring and I knew it would be very difficult, technologically and artistically. But I like a challenge and trying new things,” Lee says. 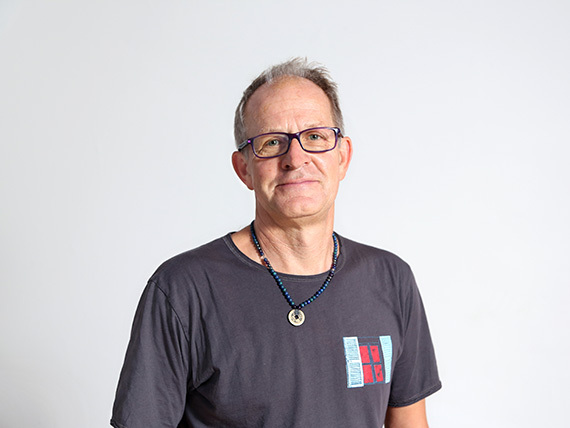 JOHN TOLL (DIRECTOR OF PHOTOGRAPHY) began his career as a filmmaker working on documentary films while attending college in Los Angeles. 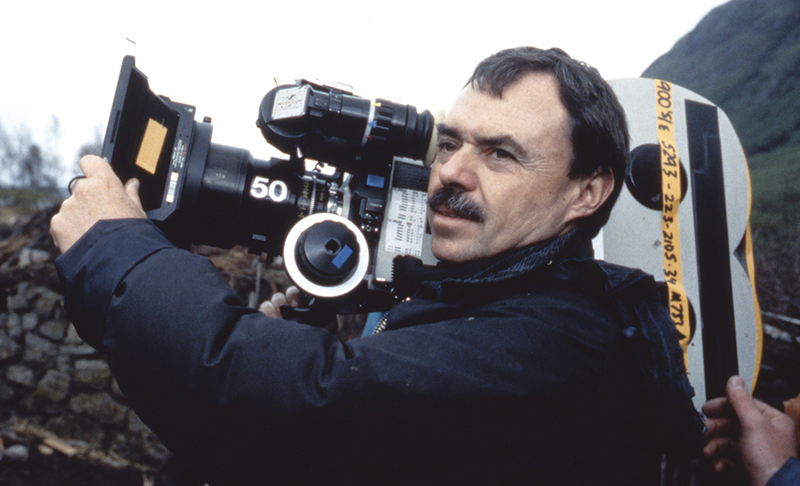 He has earned two Best Cinematography Academy Awards® for his work on Braveheart and Legends of the Fall, also winning the ASC Award and the BAFTA for Braveheart. The new immersive cinema allowed Lee to depict war in the sharpest, highest visual quality, which dovetailed with his belief that that for a soldier the war is real—everything else is not. Indeed, as early as 2010, CNN reported that a soldier who had returned from Afghanistan had vivid memories in flashback of a particularly gruesome fight with the Taliban. Lee’s approach also provided several options from which to create multiple formats that will end up being shown in commercial theaters. It all came down to math, essentially. “There are a few reasons for that with one of the most important being that 120 is a multiple of 24, and that gave us the most options.” The film will be able to be shown in multiple formats, all of which will be more immersive and have more clarity than any film has before. In the end, Ang Lee hopes that his new cinema will prove to be more than an exercise in innovative technology but rather a compelling and novel way to experience cinematic storytelling. “The book was inspiring on a human, emotional level and I thought this approach was a chance to undergo this sensation in an immersive way that is artistically authentic and part of the communal experience we all hope for every time we go to the movies,” he says.